I know that this post of mine may not appear to be all that important to college students like you! Clearly illiteracy is not a problem for you if you’re reading this blog, and if you’re as bookish as the rest of us. However, you’re EXTREMELY lucky to be reading this post without the help of someone else. Sadly, illiteracy is a growing problem, with the ever-rising popularity of video games, movies inspired by books, books on CD, and software that reads books to you. You can now make it to college without learning how to read efficiently enough to get anything out of it. As some of you already know, I work in an elementary school. We’re a Title 1 school, which means that the U.S. Department of Education provides supplemental funding to our school to meet the needs of at-risk and low-income students. Many of the children who attend this school are ELL (English Language Learner) or ESL (English Second Language) students. They also come from poverty-stricken families and spend more time raising their younger siblings while their parents are at work, than learning the things children are supposed to learn in elementary school. Due to these underlying factors, our test scores are quite low and children struggle to keep up with other children their age in other schools. It all boils down to the fact that these children do not know how to read, or they don’t understand what they read due to language barriers or comprehension deficiencies. Yes, they can sound out the words. Yes, they can say their ABC’s and maybe even tell you what sounds these letters make. But retaining and comprehending are in a whole different category, and make or break a child’s ability to learn. With the new “no child left behind” policy, it now takes an act of congress to hold a child back in school. Thus, many children fall through the cracks and are lost. They move up through school with other children their age, and sometimes suffer for that. Many times, their struggle in reading is caught so late that reversing the effect is extremely difficult. When I graduated college in December of last year, I felt very lost. I didn’t have a job yet, I didn’t have a specific direction I wanted to go in, and I didn’t even know what directions I COULD go in. When I learned of this reading problem at a local school, I decided to volunteer and try to help these children while I searched for where I should go with my own life. This school was different. They had a special program I’d never heard of, called STAR, which stands for Student Achievement in Reading, paid for with the Title 1 money from the government. It was developed by the Utah State Office of Education, and is based off of Utah’s curriculum. The STAR tutor manual contains explicit 30-minute lessons that address fluency, comprehension, vocabulary/phonics, and beginning literacy skills as needed. I was immediately trained and began working with these students several mornings a week. The differences I saw were amazing. Since then, I was hired and given even more students. It’s a totally and completely gratifying job. Whether or not a child comes to STAR is dependent upon a reading assessment given to them by their teachers. 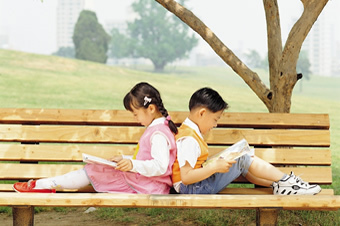 Once that child’s reading level is established, we take children based on the severity of their reading inability. Just over 1/3rd of our school is in the program, but there are more who need it. Our school can’t afford to hire more people. I have a list of children that I work with, and I pull them out of their classes during a special time 2 or 3 days a week, depending on how much help they need. We work one-on-one for half an hour. The child first picks a book off our shelf at their current reading level and reads aloud to me for 10 minutes. I keep note of how many mistakes they make, and help them correct themselves. I stop them and ask them to tell me what a word means, if I think they don’t understand it. When the 10 minutes are up, I flip back to a random part of the book and have them read as fast as they can, while still being accurate and reading with expression. I mark down their correct words per minute on a graph in order to rack their progress. After I’m done testing their words per minute, we work on comprehension. We discuss what the book taught us, what we liked about it, what we didn’t like, etc. We talk about important events or characters. I also have the child summarize to me what they read. After we work on reading comprehension, we work on developing reading fluency. There are leveled lists of commonly used phrases that I teach the child. Once the child can read the entire list accurately, and with varied expression in under a minute they pass it off and move on to the next list. There are approximately 75 words on these lists. I can read a list in just under 15 seconds, but most children work to get under a minute in about a week. We do have more struggling readers who find this incredibly difficult. I work with one child in 1st grade who took 9 minutes and 40 seconds to read the list. He and I have gone back to the basics of Kindergarten, so as not to discourage him. I’m sure we will re-visit this list in a few weeks, when he’s reading at a higher level. After fluency, we work on phonemic awareness. The students love this part the best. We play rhyming games, count consonants in words, use flash cards for consonant blending, recite poems, and work on letter names and sounds. Then we have a phonics lesson. We have a list of word “chunks,” which are basically parts of words that the child adds letters to in order to make a complete word. We see how many words they can make. We let them create these words using magnetic letters, magna-doodles, water pens on construction paper, neon markers on whiteboards, and let them write with their fingers in colored sand to make this extra fun. The colors and tactile learning really reach the kids, and make them excited to do this. We also work on engraining the most common English words in their minds for instant recognition. Finally, we go over common vocabulary words that will show up on their standardized tests at the end of the year. We make sure they know how to read them, and know what they mean. Many times our test scores are low because the children can’t read the instructions. Different parts of these lessons can be extremely tricky for some children, and really easy for others. We basically have to gauge what a child is capable of and change the curriculum accordingly. For the higher children we usually abandon the basic phonics lessons and practice writing and spelling. It sounds like so much for a 30-minute lesson, and the time really does fly! It’s extremely effective, though. 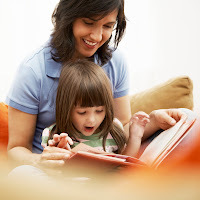 As the child experiences the consistency of each tutoring session, the principles are engrained in their minds. As I’ve mentioned before, I have seen some amazing results. In January (last school year), I began working with a 1st grader. In just a few months’ time, she jumped up several reading levels and was essentially kicked out of the program at the beginning of this school year because she is now reading above grade level. I worked with another child just one week after he had arrived here from Mexico. He spoke no English, but was soon communicating with his friends on the playground at school, and joking around with me. This year, I’ve got some real challenging students, but am extremely hopeful. I have a fourth grade boy who reads at a very low second grade level, but has an incredible zest for learning. When he sees me in the hall, he begs me to take him to STAR more often than I do. He has already jumped two levels since I started with him last month. I have a first grader who does not know the letters in the alphabet, but she tries so SO hard and is already beginning to remember the difference between a “b” and a “d”. I love seeing the progression these kids can make. It’s amazing what an hour a week can do for their reading ability. It’s also amazing how much it boosts their self-confidence. They are friendlier, their test results improve, they abandon their behavior problems, and they smile more. I don’t think I ever really understood the importance of reading until now. I was blessed with the ability to read very well at a young age, so I took it for granted. Watching these kids struggle, and then celebrating with them when they reach a milestone, no matter how small it is, is seriously the most rewarding thing I’ve ever experienced. It’s made me more aware of the small miracles in life, and made me stop and recognize the little things that seemed so insignificant to me until I heard someone say, “I thought I’d never be able to do this.” These kids really do become family, and I get so many hugs every day. They recognize that they are being helped, not just that I’m generous with the candy rewards! **Disclaimer: The images in this blog are not my own. I wish you could come and work at my school! I'm a primary school teacher in the UK and out of a class of thirty seven and eight year olds I have three that can not read - and I'm talking about do not know the sounds or letters. One can not do anything beyond mark marking when writing either. Another six or seven on top of that are seriously below where they should be. At the other end of the spectrum, I have two or three that are already reading at twelve year old level or beyond. Catering for all of their needs is impossible in the daily English and reading lessons. And as much as I try my best to do as much as I can, I can't provide the individualised tutoring that some of them need. Jana, awesome post! I think sometimes it is hard for me to fathom that there are literacy issues in America. I just always think of that as a problem in lesser fortunate countries. I forget that others aren't always as fortunate as I was as a child..I went to a decent school, had parents who cared about my education, parents who read to me and I was always going to the library and whatnot. Thanks for this post! Sam--Wow! Sounds like you have your hands full. That is so unfortunate that there is such a huge gap in reading skills. Following ACT guidelines for college readiness, on our community college campus we have about 3000 students out of 5000 total who do not meet the ACT criteria of "ready for college level reading"...and the number has grown every year...No Child Left Behind May turn out to be the worst single thing that's happened to education...EVER. Great post Jana. My daughter will start first grade next year. Do you think that a large portion of ESL students pulls back the English speaking students and slows down their education? I've heard from several educators that it is indeed the case. This was such an interesting article, thanks for sharing what you're doing to help children with their literacy. I'm also very aware of how many children are struggling with their reading and writing skills but aren't getting any extra help. When I was in my last year of high school at my comprehensive school in the UK I was asked to take part in a new programme where I would get a first year (6th grade) "buddy" who I would help with reading and writing skills for one hour every week. There were around 40 kids (about 20% of the sixth graders) who needed assistance, and the girl I worked with had the reading/writing level of a second or third grader. It was shocking, but no one had picked up on this until she went to high school. Towards the end of our year of working together she revealed that she didn't know how to read a clock either. But she'd somehow been overlooked by the education system - just like the rest of the kids in our group. The school now has a programme where kids who have incredibly low literacy and arithmetic skills don't have to do a second language and instead can take Social and Vocation Skills classes which help them with their reading and writing so that they can pass their other classes, and help them to get places at community college or get an apprenticeship when they finish school. It's an excellent idea, but it was only started a few years ago. When I started high school back in 2003 there was nothing like this and I know of several kids who just slid through the cracks and dropped out of school with little or no education. I understand that teachers and parents don't want to hold kids back to make them feel bad, but there was one boy who was doing third grade work when we were going into sixth grade and his parents refused to keep him back and he dropped out incredibly early because he couldn't keep up with the work. I hope that more schools put programmes in place to help these kids. I work at a high school, and I see the results of some of the "failed" attempts at keeping students from being "left behind." I'm working with some students personally on their reading strategies. Fortunately, our grade schools have new reading programs in place (and I think it might even be the STAR program.) We're hoping this will make a difference. This was a great post. Thanks for sharing this. And, like you said, EVERYONE needs to take responsibility for our children's literacy. Please try to contribute in some small way, if you can. This was a wonderful post! I tutor professionally and the one-to-one help is so needed for so many kids, in order to keep them from falling through the cracks in our educational system. Kudos for you, Jana! How is this experience shaping your future plans, by the way? I sort of scanned your post but I wanted to comment about literacy and tie it back to my college experience. My senior graphic design class had a project where we had to design a poster aimed at encouraging adult literacy. Apparently my college was in the most illiterate county in Ohio. It really opened my eyes to not only how hard it was to communicate a message in few simple words, but on how to encourage people to get over the shame and fear and learn to read. Thanks for all the wonderful feedback! I'm glad so many of you read and enjoyed this post. Sam, I know your frustrations! It's so hard to have such a broad spectrum of learning in one classroom. Peppermint, that's amazing. Wow. I do agree that No Child Left Behind is scary. I worry about a lot of the children I work with, and hope that they will be able to grasp reading before it's too late for them to receive the proper training to do so. Man of la Books, I do think that ESL students have the potential to pull back English-speaking students, but only if the teacher does not care, or has too many children in a class to juggle. When I'm not tutoring, I go into multiple classes every day and teach for the teacher while she takes her ESL students out and works in a small group with them. That way, the English-speakers get a more advanced lesson and the ESL children get the special coaching they need. It's a great system. Rachel, what a great thing you were able to participate in! The 6th graders from a class in our school have 1st grade reading buddies that they read with as well. I love seeing students teaching other students. :) I hope more schools will catch on to the idea as well! Annette, I'm so happy to hear about your school's new reading program! I hope it's successful. Julia, what an awesome graphic design project! I graduated with my degree in graphic design, but did not get the opportunity to design something for a class that also had such a strong message for the people I went to school with. It's cool that you got to double-dip. Such a great post! I have loved to read from a very young age and never considered before that some just couldn't. Your post has been very eye-opening and you should be very proud of the work that you do! This is beautiful xD I just love how enthusiastic you are about it.